Graduate of the Rimsky-Korsakov Leningrad State Conservatory (class of Tamara Novichenko). The 3rd Prize at the M.Glinka All-Soviet Union Vocal Competition (Yerevan, 1984), the 2nd Prize at the A.Dvorak International Vocal Competition (Karlovy Vary, 1987), the 1st Prize at the G.Verdi International Vocal Competition (Italy, 1990). When Elena was a student, she sang at the Musical Academy and Philharmonic in Prague, successfully performed Iolanta (‘Iolanta’) role in the Frankfurt’s Alt Opera, as well as solo in Symphony No. 14 by Shostakovich, and in the Berlin Philharmonic within a concert dedicated to the memory of Herbert von Karajan under direction of S. Sondeckis. In 1990, the singer got an invitation to the opera team of the Mariinsky Theater. Together with the Mariinsky Theater’s troupe, she goes on tours throughout Germany, Italy, Spain, Israel, Japan, Korea, France, Luxembourg, the Netherlands, Finland, the USA. She took part in recording ‘The Queen of Spades’ and ‘The Gambler’ operas. In 2004, the singer recorded her recital disc at the St.Petersburg audio recording studio. The Elena’s portfolio includes performances with such famous conductors as N. Alekseev, V. Gergiev, V. Ziva, M. Pletnev, S. Roldugin, S. Sondeckis, V Chernushenko. Elena Mirtova is well known also as performer of the chamber programs. She works closely together with such piano players as N.Arzumanova, V.Vakman, V.Mischuk, A.Orlovecky, A.Cenciper, violin players as M.Gantvarg, I.Ioff, I.Konovalov, V.Ovcharek, cello players as D.Eremin, A.Nikitin, and S.Roldugin. The singer is regularly invited by the opera theaters and philharmonic halls in Germany, UK, France, Italy, Spain, Scotland, Finland, USA, Japan, Korea. She participates in the various international music festivals such as “Stars of the White Nights", "St.Petersburg Spring” (Saint-Petersburg), Kuhmo Chamber Music Festival (Finland), “Dreiklang” Festival (Germany), etc. 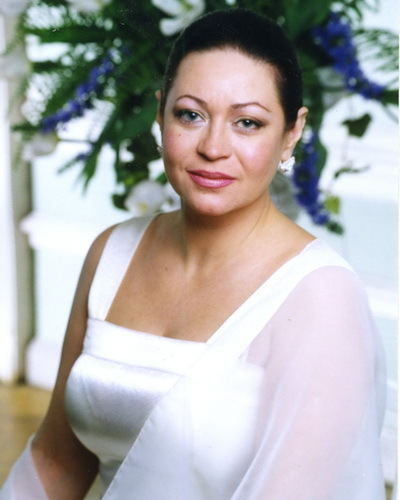 Within the festivals, Elena held multiple master classes of solo singing. Elena Mirtova is a Solo Singing assistant professor at the Rimsky-Korsakov Saint-Petersburg State Conservatory. Her repertoire includes such roles as Cio-Cio-San (‘Madame Butterfly’), Aida and Priestess (‘Aida’), Leonora (‘The Troubadour’), Violetta (‘La Traviata’), Elizabeth of Valois (‘Don Carlos’), Desdemona ( ‘Othello’), Margaret (‘Faust’), Susanna and the Countess (‘The Marriage of Figaro’), Pamina (‘The Magic Flute’), Natasha Rostova (‘War and Peace’), Iolanta (‘Iolanta’), Olga (‘The Maid of Pskov’), Polovtsian girl (‘Prince Igor’), Princess (‘Kashchey the Deathless), Larina (‘Eugene Onegin ‘), Volkhova (‘Sadko’), Prilepa (‘The Queen of Spades’), Priestess (‘Salammbo’), Domna Saburova (‘The Tsar's Bride’), Zemfira (‘Aleko’, as concert performance), Pale Lady (‘The Gambler’), Mother (‘The Nose’), Cook (‘Nightingale’).